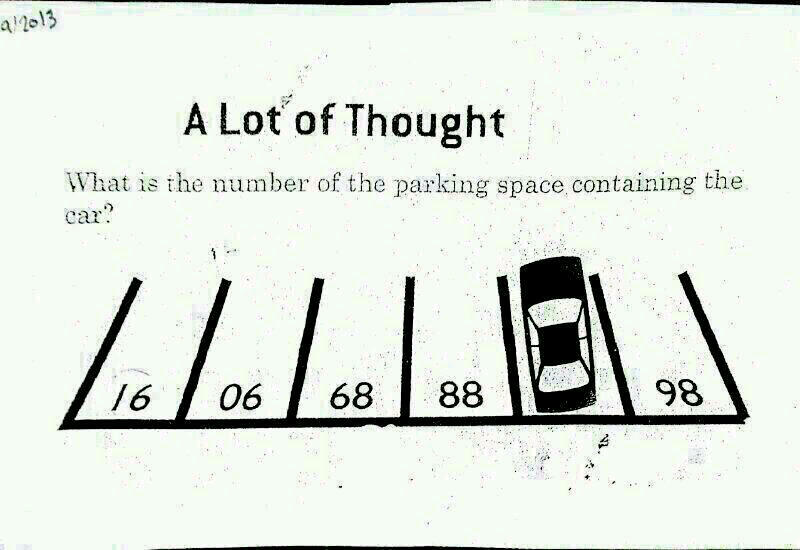 By now, many of you have seen the math question from the admissions test for Chinese elementary students. If you haven’t, here is the test. Students had 20 seconds to get the answer. Were you able to get the answer? If not, consider that this puzzle is all about changing your perspective about the solution. Now flip the picture upside down and see if you can come up with the answer. Much easier, right? This puzzle shows us how changing your perspective can show you a simple solution. How often do you change perspective on an issue or an opportunity to allow the obvious solution to come to you? Organizations want to maximize impact in everything they do. In order to do that, you need to create a low centre of gravity. You need to not only be able to remove obstacles, you need to be able to go through them. Hence the importance of the low centre of gravity. Speed – you need to approach any initiative or strategy with speed. Angle – You need to take the right approach and have the right angle. Power – You need to come with strength and power. If any of these three elements are missing, you will not be able to maximize impact and go through the obstacles in your way. The visual below shows the sweet spot between the three elements and what happens if you are not in that sweet spot. If you have speed and power, but the wrong angle, you will miss your target. If you have speed and the right angle, but no power, you will get run over. If you have the right angle and power, but no speed, you will get left behind. If you have speed, power, and the right angle, you will maximize impact. Organizations need to change the way they operate if they want to continue to be successful. The way organizations engage with customers is different. The way customers buy products and services is different. The way employees choose where they want to work is different. The way companies innovate is different. You can’t focus on customer satisfaction, you need to focus on customer retention. Happy customers only matter if they keep buying from you. You can’t focus on cost cutting, you need to focus on growth. Controlling costs makes sense, but having a strategy that relies on cutting costs to be competitive will not allow you to survive for very long. You can’t focus on elimination of waste and standardization, you need to focus on innovation. You need to create new ways of operating that accomplish your objectives faster and more effectively and you need to become a master of adopting and applying those ideas across your organization. You can’t focus on productivity, you need to focus on performance. Every employee needs to contribute to help the organization make progress. You should spend less time on strategy development and more time on execution. Most initiatives fail at the execution stage. It might be the right thing to do, but if executed poorly, you don’t get the results you expected. Don’t underestimate the value of speed. But you need to know when to speed up and when to slow down. You need to optimize speed. Changing the mindset of organization is not easy, but it’s necessary. Start by preaching excellence not perfection. Reward people for trying new ways to improve performance, even if they fail. Look at new ways to measure success. But most importantly, you need to first acknowledge that your mindset needs to change. Then you can begin to identify the best opportunities to improve performance. Eliminate annual employee performance reviews and replace them with more regular reviews, thus making my managers must more accountable to manage. Refuse to go to any meeting where we weren’t discussing something that would have a significant impact on the results of the organization. Ensure I spent at least 50% of everyday meeting with customers, suppliers, and business partners. Eliminate most of the metrics that are currently being used and only use ones that clearly show we are progressing towards our future state. Eliminate strategy retreats and time-consuming planning meetings and focus the organization on implementation and execution. Create a separate innovation team and implement a process for managing innovation to ensure we measure the possible impact of new ideas and then integrate them into the way we operate. Most organizations aren’t doing a lot of the things I mentioned above, even though implementing them would improve their performance and results. So why isn’t it happening?